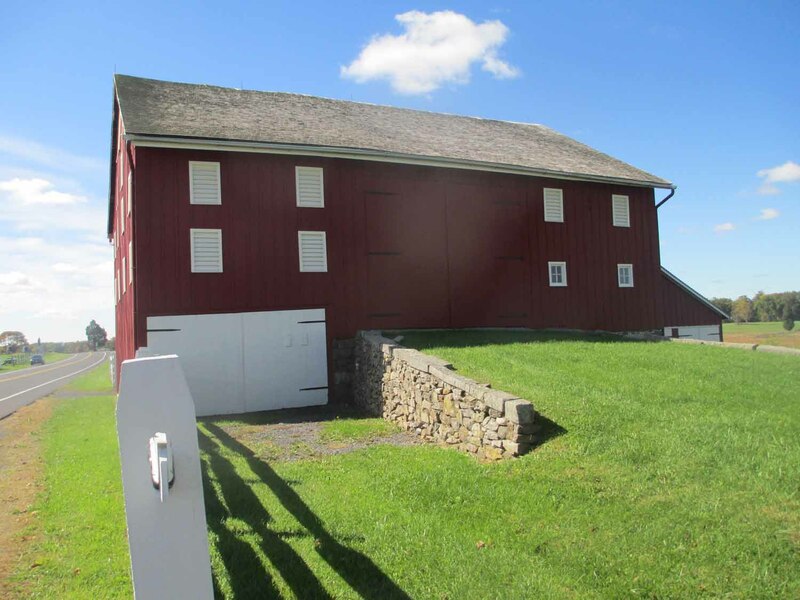 Barns of the Civil War: Joseph Sherfy - Aged Woods, Inc.
One of the most debated topics of the Civil War involved the advance of Dan Sickles and his III Corps at Gettysburg. 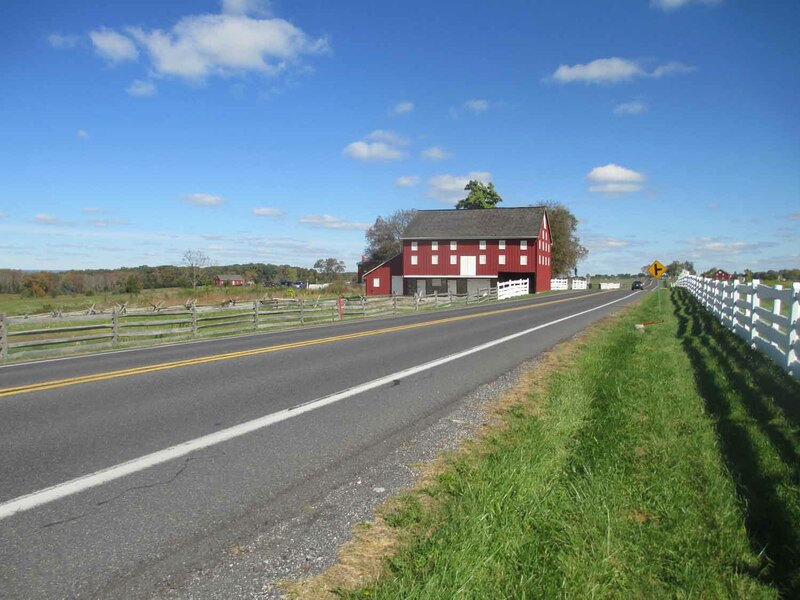 This advance placed his soldiers astride the Emmitsburg Road and at the center of his line was the farm belonging to Joseph Sherfy. 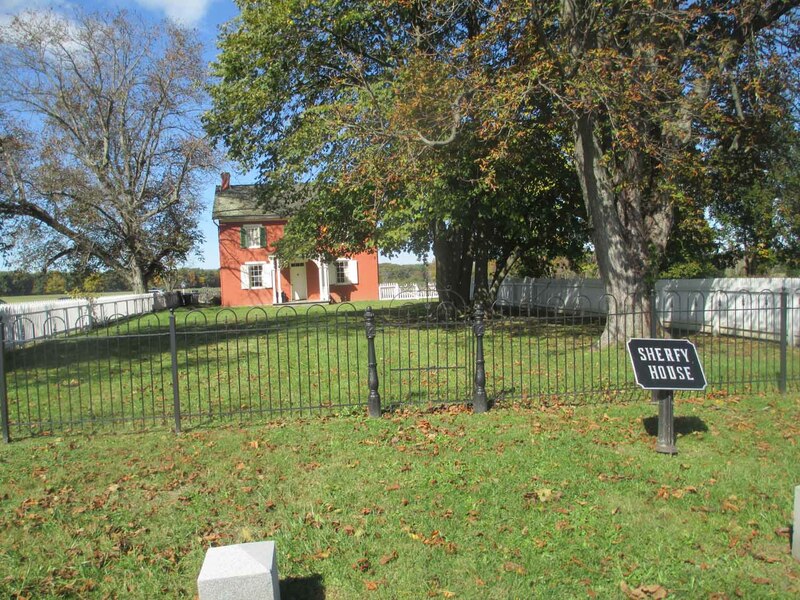 The Reverend Joseph Sherfy owned a large swath of land just south of Gettysburg, Pennsylvania, land that would include some of the most important places in American military history. He owned part of Little Round Top, Big Round Top, the Devil’s Den and an orchard that would come to be known as The Peach Orchard. 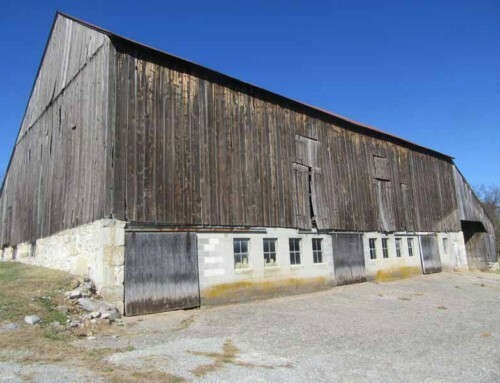 He built his home in the 1840s and his barn around 1850. Joseph, his wife Mary, their six children, and Mary’s mother Catherine lived in the home and planted several apple and peach orchards just before the war and also tended their livestock. The family were pacifists and belonged to the Church of the Brethren. The first hint of trouble came on July 1 as John F. Reynold’s Union I Corps marched up the Emmitsburg Road toward town. The Sherfy’s put out a large trough of water and baked bread for the troops as they marched toward battle (and some their deaths). On the morning of July 2 they were ordered away and the family drove their livestock south toward the Round Tops and eventually toward the village of Two Taverns. It is fortunate that they did as the horrible hand of war was only a few hours away. Union Major General Dan Sickles was somewhat of an anomaly in the Army of the Potomac. Unlike all of the other senior commanders he was not a professional soldier but instead was a politician from New York City. As a moderately powerful Democrat in the Tammany Hall political machine he was useful in dispelling the myth that this was a Republican war being waged against Democrats and he displayed enough competence to rise through the ranks. 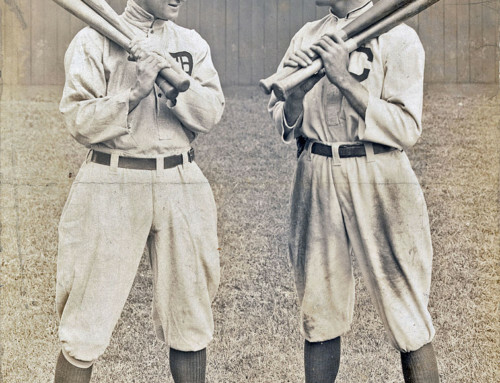 Sickles was also using the war to rehabilitate his image. He was known as a womanizer and a murderer. He had caught his wife with another man, a US attorney, and killed him outside of his Washington DC home. As a sitting Congressman this was unprecedented and the ensuing trial was one of the most widely reported trials of any era. His lawyers pioneered the temporary insanity defense and he was found not guilty. When Sickles surveyed his line on the morning of July 2 he did not like what he saw. He was tasked with covering low, swampy ground with few good positions for his artillery. 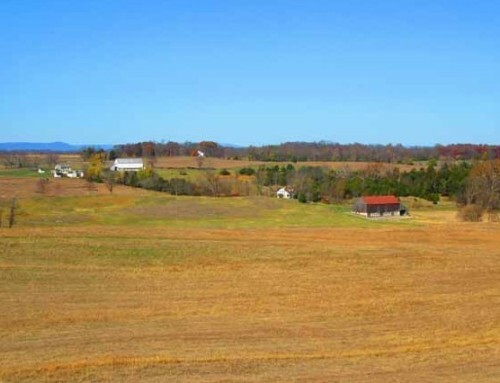 What he also saw was just beyond that was much higher and open ground, which could pound his position with artillery as had happened to him 2 months before at Chancellorsville, Virginia. He interpreted his orders, which allowed him to place his soldiers as he saw fit, as a lawyer would and not a soldier. He ordered his men forward. Rather than defending a straight line from Cemetery Ridge to Little Round Top he would now defend a line from near the Klingle Farm on the Emmitsburg Road to the Sherfy Farm and his peach orchard slanting down the Millerstown Road to the Rose Woods where it wound through a wheatfield and ended at a large rock formation known locally as The Devil’s Den. It is a quirk of topography that the ridge along the Emmittsburg Road appears to be higher than Little Round Top. Sickles himself never apparently went up on Little Round Top because if he had he may have acted differently. When the Union commander, George Meade, found out he was furious. Meade was known for having a bad temper and he did not like Sickles to begin with, one can only imagine what profanity he used as the fate of the nation (and his career) was on the line. Sickles offered to return to his old position but by that time the Confederates were occupying the line opposite them. They would have to stay. 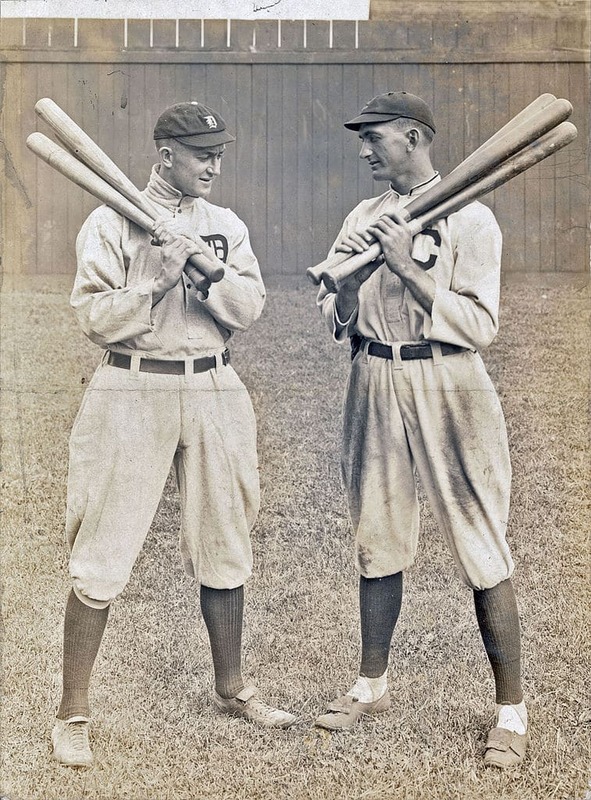 There will be more on Sickles in later posts. Occupying the area around the Sherfy farm was a brigade of Pennsylvanians belonging to Charles Graham, a New York crony of Sickles. Protecting a gap near the family peach orchard was a long line of artillery, as Sickles did not have enough infantry to cover the gap. A South Carolina brigade under Joseph Kershaw assaulted this gap but were stopped by a shower of grape and canister. As the Confederate assaults hammered Sickles line he had to shift reserves leaving Graham with little support. The line was holding but just barely and the few reserves remaining in William Brewster’s Excelsior Brigade of New Yorkers stabilized the line. That changed when a Confederate brigade of Mississippians under William Barksdale launched a ferocious assault that not only shattered Graham’s men but the entire line. Barksdale’s men would not be stopped for nearly a mile and helped to create a nearly mile wide gap in the Union line that was only closed at great cost. 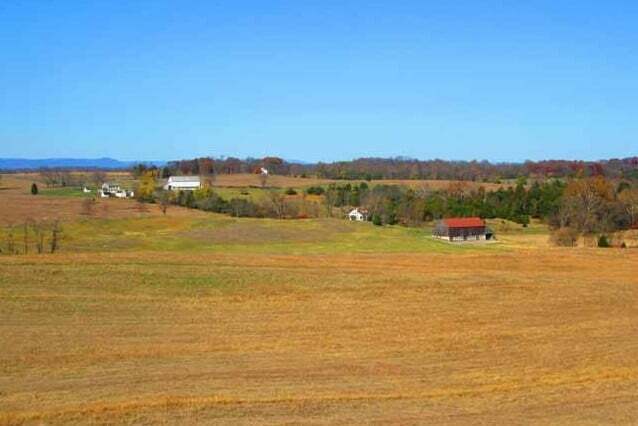 Confederate artillery took position in the Peach Orchard and would remain there for the remainder of the battle, firing from there during Pickett’s Charge the next day. Graham was wounded and captured on the Sherfy farm. The family barn was used as a hospital once in Confederate hands. 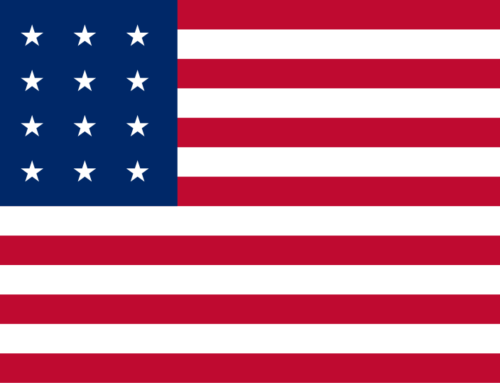 Several Union soldiers also sought refuge in the barn and were captured. It was pierced by numerous artillery shells and bullet holes. The straw in the barn caught on fire and several helpless men burned to death as the barn burned to the ground. 48 dead horses were also on the property decomposing in the summer heat*. It was a ghastly sight. When the Sherfy family returned on July 7 they found their belongings strewn on the lawn of their home and their clothes soaked in blood not to mention the still smoldering remains of their barn and the charred corpses of 14 dead soldiers. One of his cherry trees had a cannonball lodged in its trunk. Joseph estimated the damage at $2,500 but received no compensation from the government for their damage claim. The family rebuilt and cleaned up. 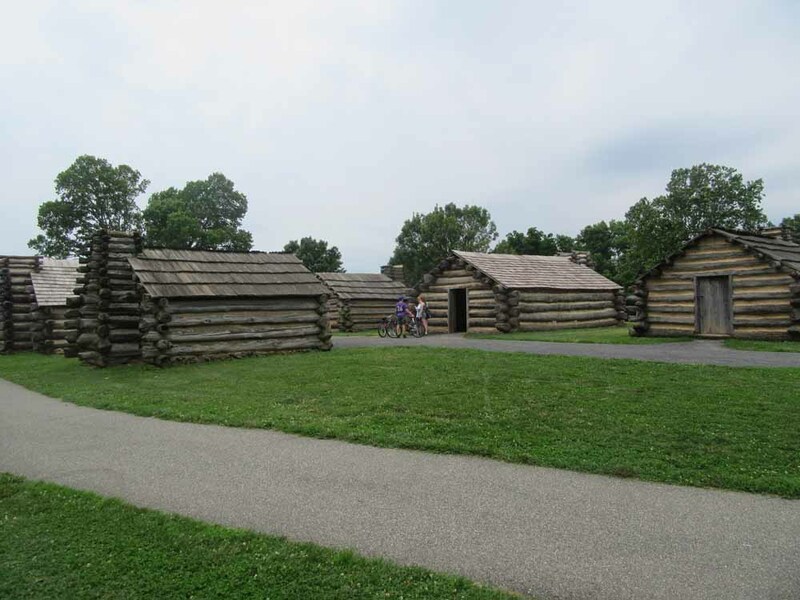 The farm became a popular destination for veterans when they returned to the battlefield. 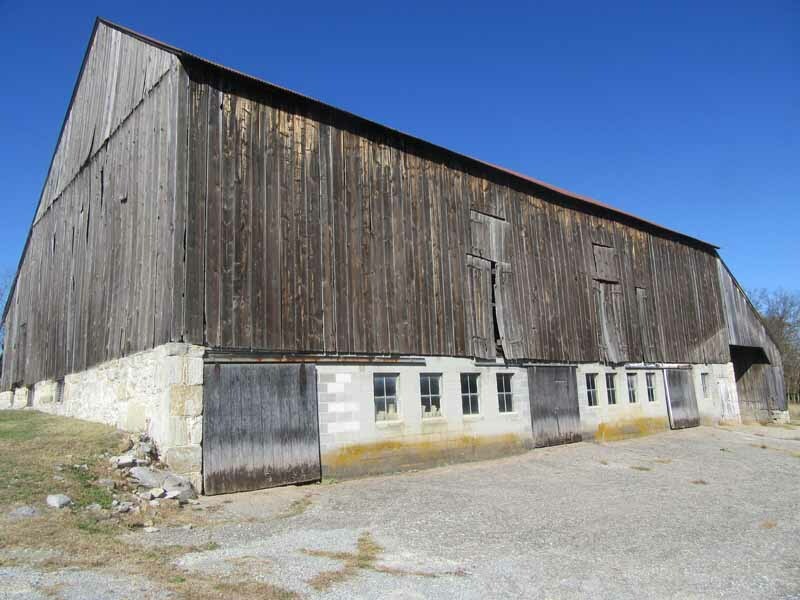 The barn was rebuilt in 1868 and the farm remained in the Sherfy family until Joseph died in 1882. The family sold peaches advertising that they were from the battle and most certainly stood out. The National Park Service acquired the property and incorporated it into the battlefield and the home is rented out today. 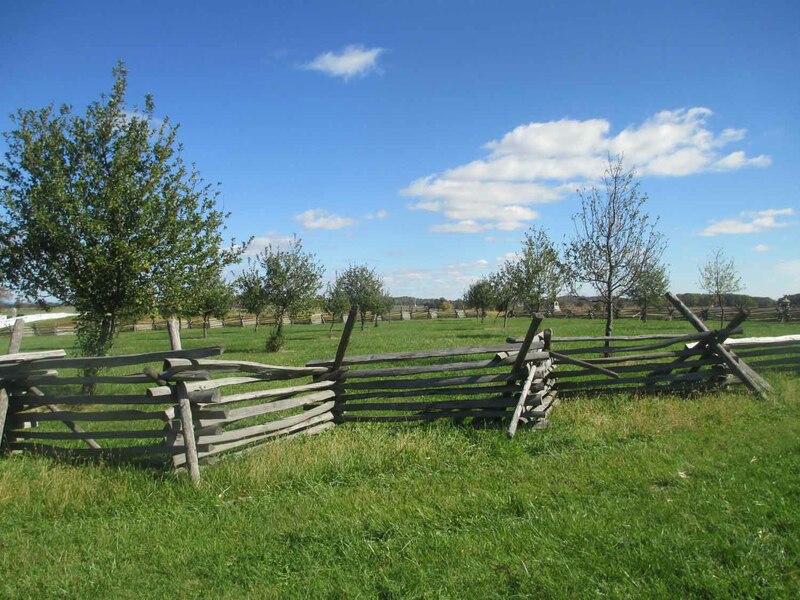 The trees of the Peach Orchard began to wither and die and were eventually uprooted. 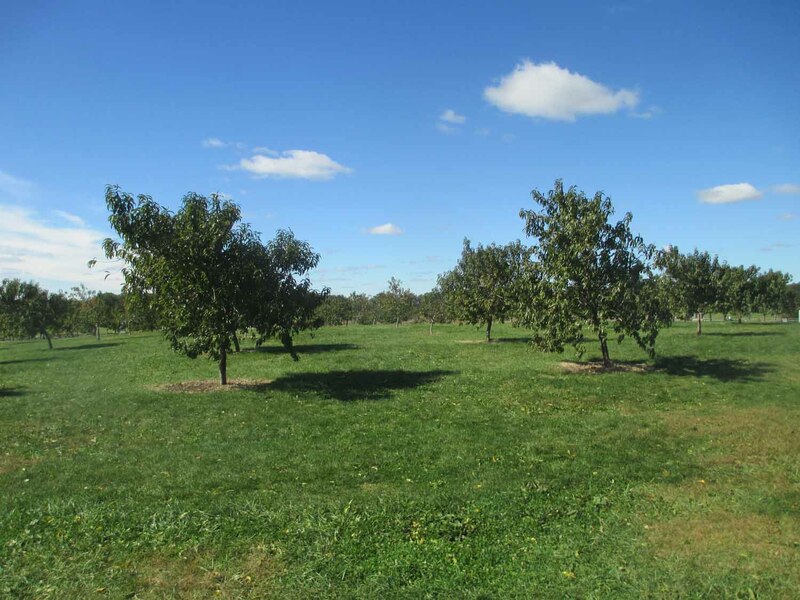 In recent years the National Park Service has replanted several orchards on the battlefield, including the Sherfy’s, which is located at stop 10 on the auto tour. *The penalty for being caught with government property during the cleanup of the battlefield was to spend a day burying dead horses. The provost marshall did not discriminate and even a state judge was put to work.